“Passwords are dead…” is something which has been shouted about for so long it got boring years ago. Yet the first mobile phone with a biometric fingerprint scanner appeared in 2011 – and while this is pretty much standard nowadays – the backup is still a four-digit password. And despite various announcements over the years other forms of biometrics are still fairly pretty niche. And honestly it is not hard to see why. There are wackier forms of biometrics – like gait analysis and odour detection – then there are the normal ones which are simple to enact on a smartphone but still relatively hard to do well. Take facial recognition. I was at Heathrow airport recently and tried to use the automated ePassport gate to get back into the UK. The photo in my passport is official and approved. Yet I stared at my own face in the camera for a stupidly long time – trying to look as neutral as possible – while the digital wheel turned and turned. Eventually it gave up on me and had me join a new queue to speak to a person. In this arena, FacePhi was created 10 years ago and spent eight years in R&D developing an algorithm for facial recognition, Executive Vice President Javier Mira, tells me over the phone from Spain. A couple of years back the company started trying to sell its solution to financial organisations and in 2014 it began signing contracts across Latin America. Now it is has nine banks on its books and the latest is Mexican Banco Inbursa which it acquired at the start of July. The company specifically targeted Latin American banks because of the language and because Spanish companies get a lot of respect in the region, explains Mira. He also believes this region will make an ideal stepping stone into the US market and Europe. “Customers can buy the technology and use the algorithm in any way they want,” Mira tells me. This can be used to verify a person’s face through any form of camera – such as CCTV – but Mira explains two clear use cases have emerged as mobile and web recognition. This is not terribly surprising as this is how most people access their online banking. Mira believes his company has an edge because your face is verified on the bank's server [YouTube video]. “The important issue isn’t just from the point of view of security [though],” he adds. This form of security helps banks build loyalty with the public, shows them as innovators in the sector and allows them to deliver a better customer experience. This is an interesting point because there is no getting away from the fact banks have a bad reputation and potentially problematic future everywhere. 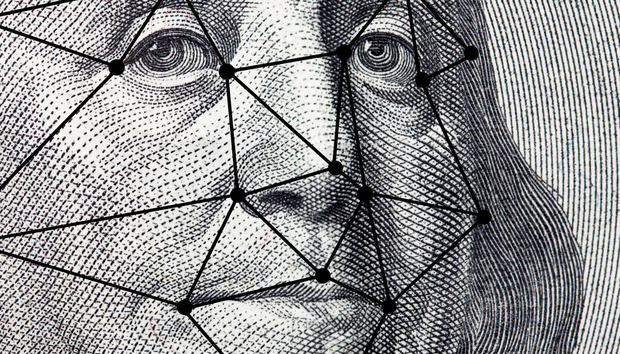 When I interviewed a wide range of industry professionals earlier this year about the future of money in a decade’s time there was general consensus that biometric security would have to become commonplace. In the past FacePhi mostly found itself competing against other forms of biometric technology because nobody else was offering facial recognition, Mira tells us. However, over the last few months other companies have emerged in this particular space. As a word of advice he suggests “It is best to try and combine several biometrics” to maximise security. So, would he partner with other biometrics companies in future? “We’d seriously consider it,” concludes Mira. These would probably be in the arena of fingerprints or voice, which work well on a smartphone, and make a good complement to facial recognition. Certainly better than a four-digit password anyway.